Top Animation News is a weekly column that rounds up the biggest, best and breaking stories from the animation industry. This edition covers March 29 to April 5, 2019. While it has yet to set a release date, Netflix has announced there will be a third season of The Dragon Prince. The fantasy series, following two human princes and an elf assassin, premiered its first season in September 2018 and a second that launched in February 2019. Produced by Wonderstorm, The Dragon Prince’s sophomore run featured notably improved animation — seamlessly blending 3D scenes and characters with 2D effects made in Toon Boom Harmony. 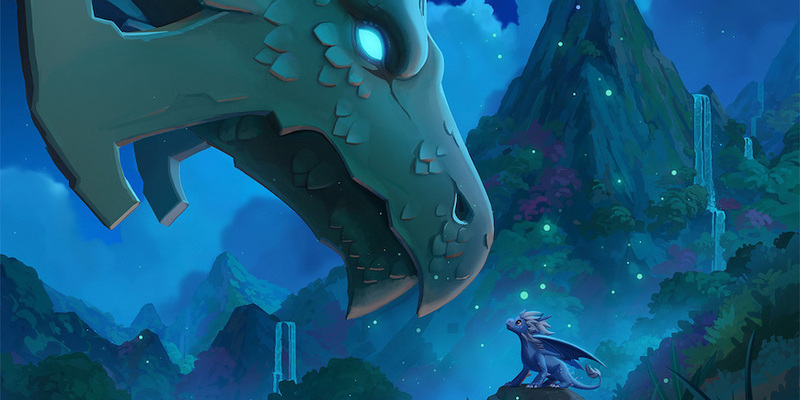 Soar into The Dragon Prince season three details on “Kidscreen”. The GLAAD Media Awards were last week and Cartoon Network’s Emmy-nominated animated series Steven Universe won the first-ever Outstanding Kids & Family Programming award — honouring “kids and family programming that actively seeks to increase fair, accurate, and inclusive representations of the LGBTQ community”. The other nominees included Adventure Time (Cartoon Network), Andi Mack (The Disney Channel), Anne with an E (Netflix) and She-Ra and the Princesses of Power (Netflix). 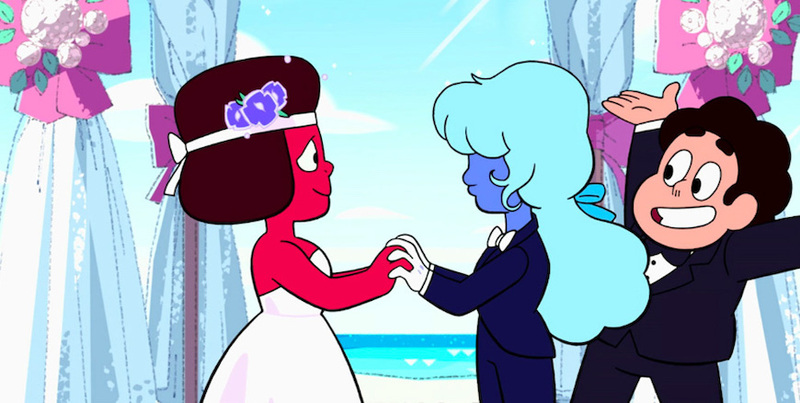 Created by Rebecca Sugar and planned in Toon Boom Storyboard Pro, Steven Universe featured the marriage between two non-binary characters, Ruby and Sapphire, in July 2018. Celebrate the Steven Universe GLAAD Media Award win on “Animation Magazine”. Netflix’s live-action Cowboy Bebop has named its main cast: Star Trek’s John Cho as bounty hunter Spike Spiegel, Mustafa Shakir as Jet Black, Daniella Pineda as Faye Valentine and Alex Hassell as hitman Vicious. Based on the classic anime created by Shinichirō Watanabe and Keiko Nobumoto, the streaming giant’s adaptation will launch with a 10-episode first season following the aforementioned characters as they ride around the galaxy in spaceships in 2071. Hunt more Cowboy Bebop live-action cast details on “The Verge”. 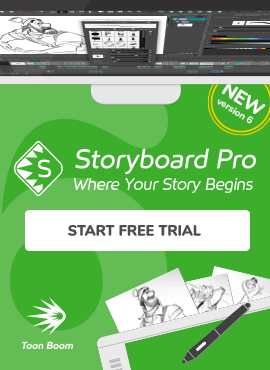 Toon Boom launched our new How To blog series this week with a guide on how to import and use a 3D reference in a 2D scene in Storyboard Pro. Trainer Geneviève Demers breaks this technique into simple steps and explain how it can be used to quickly draw on-model cars, complex props and backgrounds during the preproduction process. The ongoing Toon Boom How To blog series will be packed with more tips and tricks to make it easier than ever for artists experiment and bring their visions to life. Discover how to use a 3D reference in a 2D scene in Storyboard Pro on the Toon Boom blog. California-based production company Duncan Studio is getting into original content. Founded in 2007 by ex-Disney animator Ken Duncan, the studio recently did Mary Poppins Returns’ much-celebrated 2D animation sequences. Its new in-house development and production division, Duncan Originals, has, “created a slate of unique, inclusive, gender balanced and visually compelling stories, that will engage and resonate with audiences globally,” according to Duncan. Dig into all the Duncan Originals details on “Deadline”. The 47th Annie Awards will take place Saturday, January 25, 2020 at UCLA’s Royce Hall — honouring the best animated achievements across 36 categories. The event’s organizers, the International Animated Film Society’s ASIFA-Hollywood, have announced key dates including a deadline for submissions (November 1), when nominations will be announced (December 2) and the cut-off for online voting (January 12). Plan your schedule around the full list of Annie Awards 2020 key dates on “Animation World Network”. The revival of Doctor Who: The Macra Terror has had the best reception of any animated Doctor Who episode to date. Sun & Moon Studios was brought in to animate the four-part serial; co-founder Louis Jones notes the shift to Toon Boom Harmony was pivotal, offering more visual flexibility through features like the Master Controllers that allowed for full 360-degree rotations of the head, body and feet and for more expressive facial movements. "What interested me most about this project is how naturalistic we could get the performances – the subtlety, the nuances," says rigger and animator Dan Keeble. Discover Sun & Moon Studio’s Doctor Who: The Macra Terror animation process on “Digital Spy”. Created by Brooklyn Nine-Nine writer Gabe Liedman, Q-Force has been announced as an adult animated LGBTQ spy comedy. Executive producers will include Parks and Recreation creator Mike Schur, Todd Milliner of Hazy Mill Productions and Will and Grace star Sean Hayes, who is rumoured to also be starring in the Netflix toon. “A spy TV series is so tough, because they’re so expensive. We were thinking how do we get to do gay spy and every week, and the only way to do that is animated, because we can do all of the fun parts of a James Bond film. We can travel, we can have big chase sequences; animation is allowing us that freedom,” says Milliner. Shake and stir up more details about Netflix’s Q-Force on “Den of Geek”. The National Film Board of Canada (NFB) has been one of the preeminent supporters of independent animation both north of the 49th parallel and around the world. Its 63-year-old storied midcentury headquarters, located in a suburb of Montreal, is being replaced by a modern glass tower in the city’s downtown Quartier des Spectacles this fall. Ottawa International Animation Festival artistic director Chris Robinson spoke to some of the legendary animators who passed through the old NFB building’s doors including Pierre Hébert, Marcy Page (The Danish Poet), Paul Driessen (The Writer), Torill Love (Me and My Moulton), Janet Perlman (Why Me?) and many more. Take a walk down memory lane with the NFB on “Cartoon Brew”. Following the success of Our Cartoon President, Showtime has started development on another adult animated comedy, Multifarious Maris, about a woman who discovers on her 30th birthday that she has a not-so-superpower: the ability to travel through the lives she could have had with different choices. Cue self-discovery traversing the multiverses. Created, written and produced by scribe Annah Feinberg, it is being executive produced by Corey Campodonico and Alex Bulkley of ShadowMachine — the animation studio behind Netflix’s BoJack Horseman. Traverse the internet to “Variety” for more Multifarious Maris details.